unces of hops, and Safale 05 dry yeast. That combination will give you a nice, clean, dry IPA that’s not sweet (for sweetness, add a half pound of Caramel Crystal 20L). It’s all about the hops. What hops? Centenial, Cascade, Simcoe, Citra, Amarillo, Mosaic, and Columbus all taste really good. There is a reason that most commercial IPAs use them. Use any combination of those (adjusting for bitterness), about 4 to 5 ounces, and you will be happy for years to come. You can add hops before the boil (First Wort Hopping), during the boil, after the boil (Flame Out), and after fermentation (Dry Hopping). As long as you adjust for bitterness, any combination will work out well. Just do it. Dry Hopping is easy. After your beer is done fermenting, throw the hops in, wait about 5 days (for the hops and everything to settle to the bottom), and then bottle. The beer will smell amazing. For this reason, nothing beats a fresh, dry hopped IPA. Centenial, by the way, is the hop used in one of the best IPAs out there: Bell’s Two Hearted Ale. I have made several beers with pure Centenial. Paradoxically Double IPAs (DIPA), also know as Imperial IPAs (IIPA), tend to be sweeter than regular IPAs. That’s because the more grain you add to your recipe, the more complex sugars that will not be fermented out. In other words, there is residual sugar left over from a brewing process that is not 100% efficient. That is why I only use base malt (2-row) for all my Double IPAs. Caramel/Crysal malt might make it too sweet. This particular DIPA will be bitter, not too sweet, floral, citrus, tropical, with a big hop flavor and aroma. I love this beer. Dry, simple, huge flavor and aroma. The grapefruit zest is essential. It enhances the flavor, aroma, and bitterness (like a grapefruit bitterness). You probably want to use organic grapefruits, by the way (no pesticides). Black IPA – add a pound of Roasted Barley. Done. This will be black, roasty, but also hoppy. Make sure to dry hop this one, you don’t want the roasted barley to drown out the hops. Red IPA – add 4 ounces of Roasted Barley. That will give it the red color, and a very subtle, dry roast character. The trick is to make sure the beer is clear as possible, so let it sit in the fermenter/bottling bucket for two weeks, or cold crash and use gelatin. No need to dry hop this one. Belgian IPA – use a Belgian yeast (like Trappist). Triple IPA – awe, damn son – more base malt (or extract), even more hops (up to 1 pound), and extra yeast. I made a Breakfast Triple IPA once…pretty good: it had almost 1 pound of Centenial, I remember it feeling like velvet on my tongue. Play around. A touch of Vienna malt? Sure. Munich malt? Sure. Use Maris Otter instead of 2-Row? Sure. It’s hard to screw up an IPA, once you know the basics. “That’s because the more grain you add to your recipe, the greater chance that all the sugars won’t be fermented out”; just to be clear, if the mash is made at the same temperature, you’ll get roughly the same attenuation. More grain = proportionally more complex sugars; I don’t see “chance” playing a role here. gotcha Micha. Thanks for the clarification. 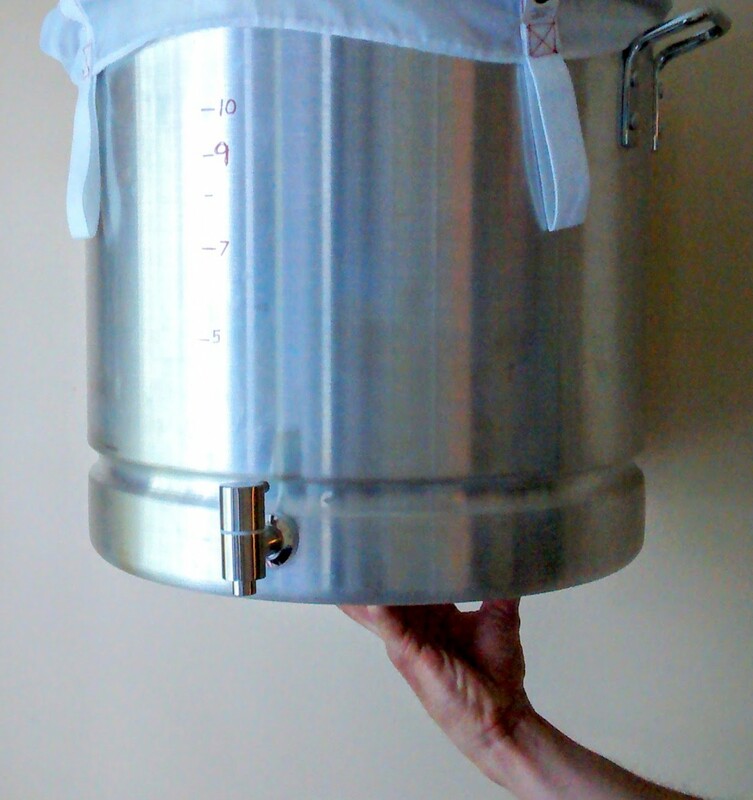 Gladly—if there’s more need for pedantic homebrewers, I’m always there to chime in ☺ Thanks for your blog, I really like your KISS approach to homebrewing. I’m proactively publicizing around some simplifications, based in particular on the Brülosopher’s exbeeriments; your blog offers a nice complement! Keep on the great work. Thanks. In a few weeks I will know a lot more about my little experiment (the only thing I’m really worried about is fermenting with aluminum…we shall see). I’m planning my first brew. I just bought equipments and i’m going to try your perfect IPA recipe (Simple Dry Hopped). I’m doing 3 or 5 gallon batch. Is this recipe for 8 gallon batch? I’m thinking about Evaporation, should I add water during/after boil? Matt – Hopefully my bag will be here tomorrow and I can try my first brew Saturday. I am going to try your simple IPA recipe. How much yeast do I add? I am not sure what the local shop has so I ordered 3 of the 11.5 g packs of the dry yeast from Amazon just in case. Also, I ordered the same stainless steel pot (in fact I am just copying everything hope you don’t mind). Is the hole 2 1/2″ to center of the hole or bottom of the hole? one pack of dry yeast is enough. Let me check on the measurement, but I think it’s 2 1/2 inches to the bottom of the hole. Of course I don’t mind – that’s why I have the blog. have fun!